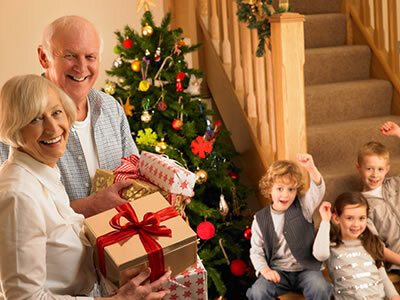 The people you love most in your life are your kids, partner and your parents… This Christmas, why not express your love with a unique gift they can see and enjoy every day? A family photo or a special moment printed on canvas to display on their wall will speak volumes and show how much your loved ones mean to you. It could be a photo of your new baby for proud grandparents … a family portrait or favorite vacation photo … even a collage of your teen’s Instagrams. This is something they’ll appreciate for years to come. 1. Choose a size and canvas style. 2. Upload your favorite photo from your computer, Facebook, Flickr or even Instagram. You can choose more than one and even make a photo collage. 3. Optional: add a background color (if making a collage) and your own text. 4. Preview and order. You’re done. Don’t wait! Make your canvas print NOW so you’ll have it before Christmas! 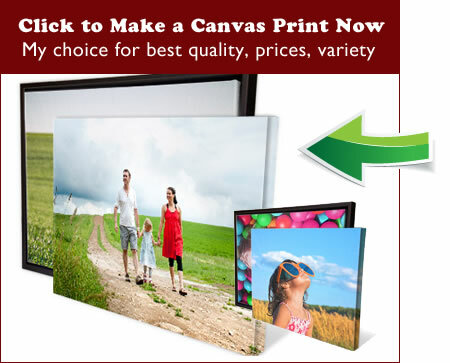 Canvas prints come in many sizes from 8×8 up to 30×40. 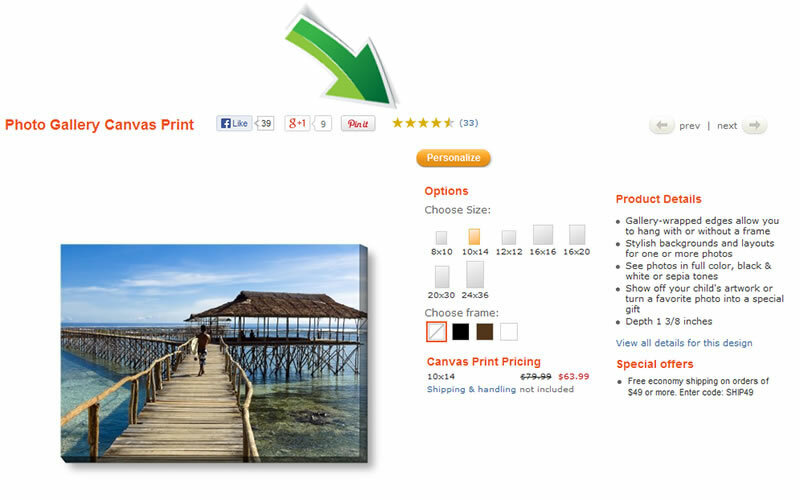 Gallery wrap – the image wraps around the sides of the canvas so you don’t need a frame. Museum wrap – the sides are black or white. Some companies offer a wide choice of colors. These are my favorite sites for price, style options, quality and customer service. Make your Easy Canvas Print now! Choice of gallery wrap, museum wrap or collage, framed or unframed. Make your canvas print at Snapfish now! 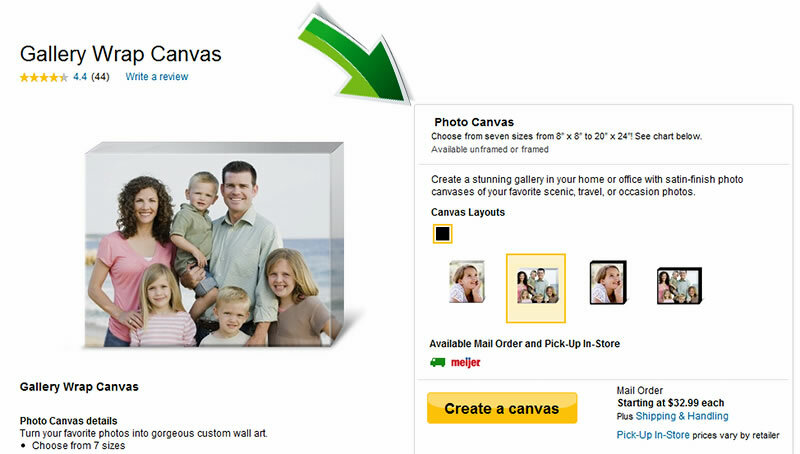 Click the yellow “Create Canvas” button below. Make your canvas print at Shutterfly now. Pick your style and customize it now.